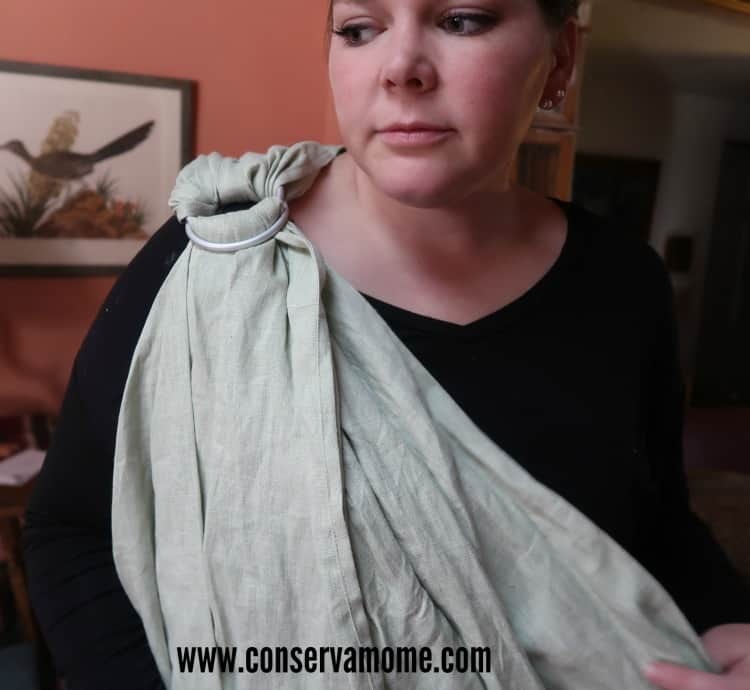 Find out why the Comfy Joey Ring Sling is a must have for baby wearing. 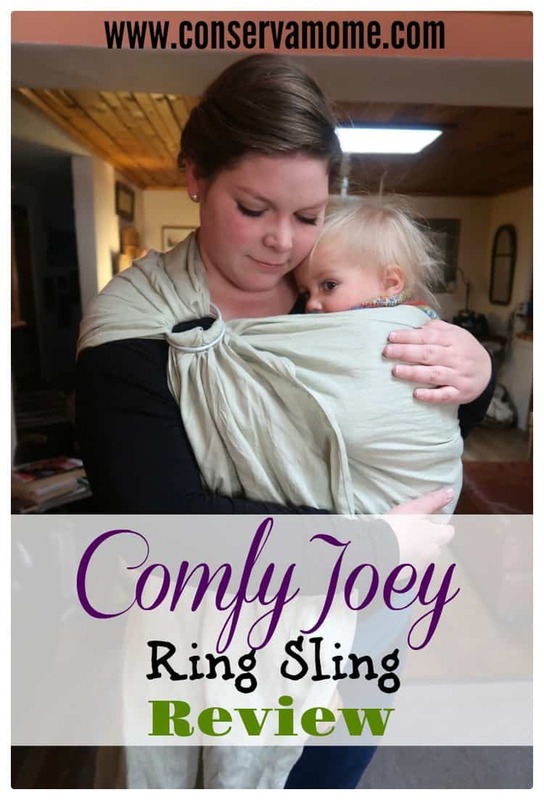 I received these Comfy Joey Ring Slings free of charge in exchange for my honest review. All opinions are entirely my own. Contains affiliate links. 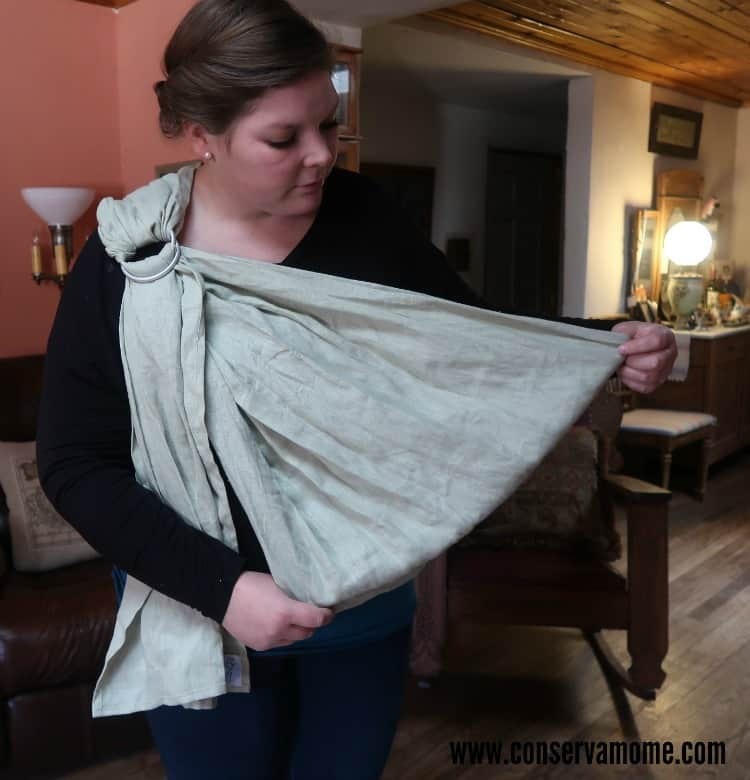 Have you tried a ring sling yet? My, oh my, if you haven’t, you need to. I was scared of ring slings as a new mom but now I’m kicking myself for not trying a Comfy Joey ring sling before now. 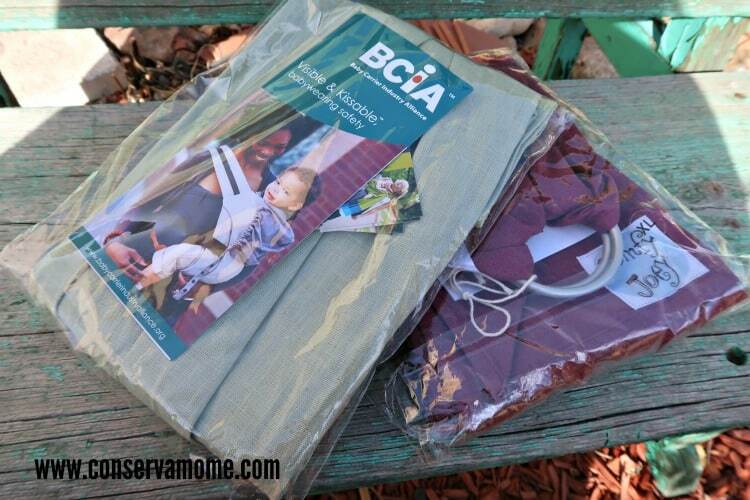 A little bit of back-story: I knew I wanted to be a baby wearer, even before I found out I was pregnant. 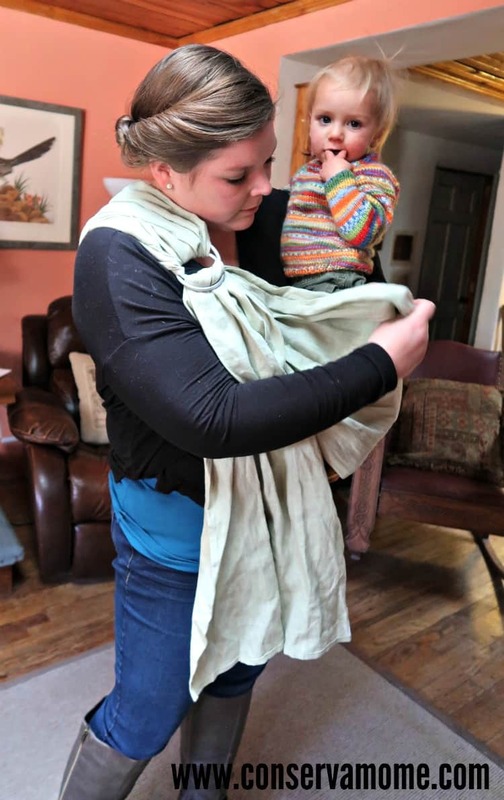 My son is 21 months old but I had never tried a ring sling until a few weeks ago when I got to try out a Comfy Joey sling. I had all kinds of misconceptions about these things. Let me tell you about how wrong I’ve been. First, I thought that getting a child into a ring sling would be way too complicated and I didn’t want to be bothered with the details. Turns out, that the Comfy Joey ring slings are the easiest baby carriers I own. They are straightforward and simple to use. I wish I had a ring sling from day one of motherhood. Secondly, I thought that ring slings were only for tiny babies. I had no idea that toddlers could be easily, comfortably, and (shocker) enjoyably worn in a ring sling. Maybe this misconception came from not knowing how ring slings work, exactly. 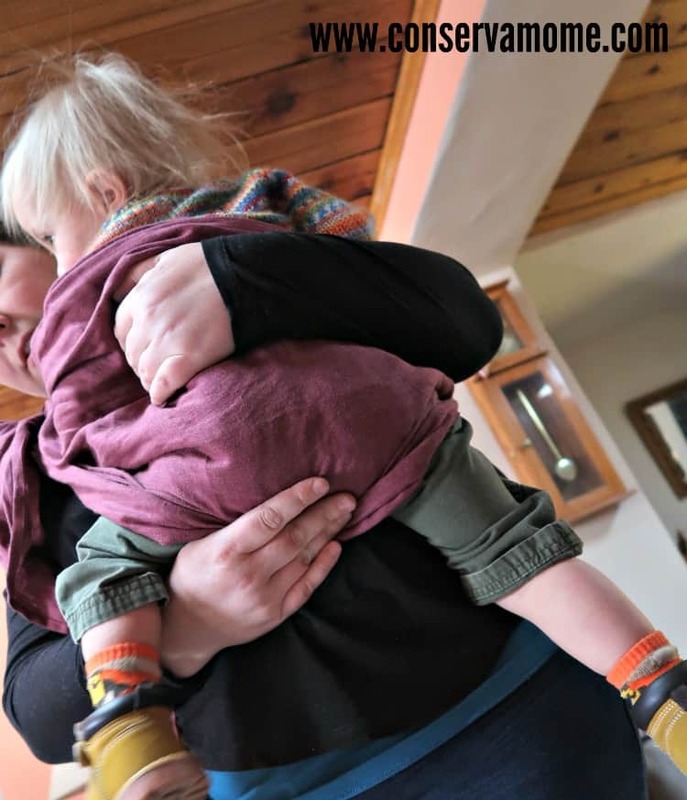 Happily, ring slings are very comfortable to use with older babies and toddlers. The important part to remember is to securely pull the fabric of the sling between their legs so their fanny is firmly planted in the hammock of the sling. Finally, I thought the long tail of the sling would get on my nerves. Wrong again! The tail ended up being one of my favorite features. It’s great for wiping runny noses, shielding little skin from bright sun, and perfect modesty while breastfeeding (if that’s your thing). I ended up loving the tail of the sling, especially last week when a nasty cold hit our household and my little love nugget was a wiggling ball of snot that wanted to be held 24/7. 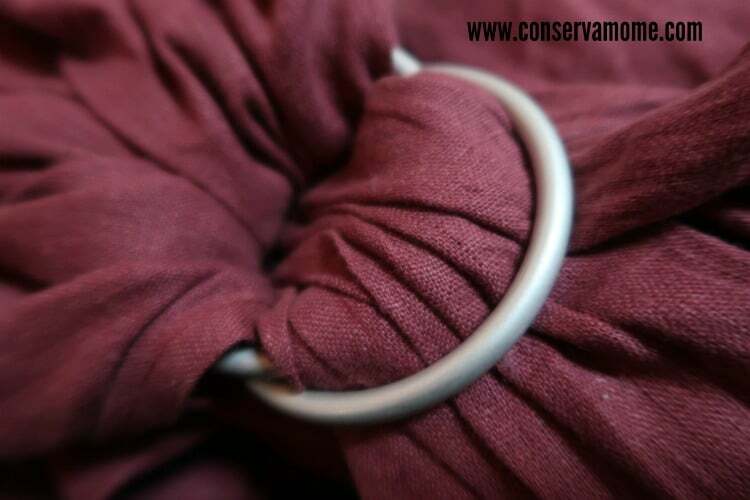 The Comfy Joey ring slings I got to try out are made in the USA of a luxurious feeling Linen. Comfy Joey also makes ring slings for the water. They are made of a mesh material so you can securely hang onto your little water baby while also wrangling older children. Each ring sling comes with an informative CD to answer all your ring sling questions and help you learn to use the sling. 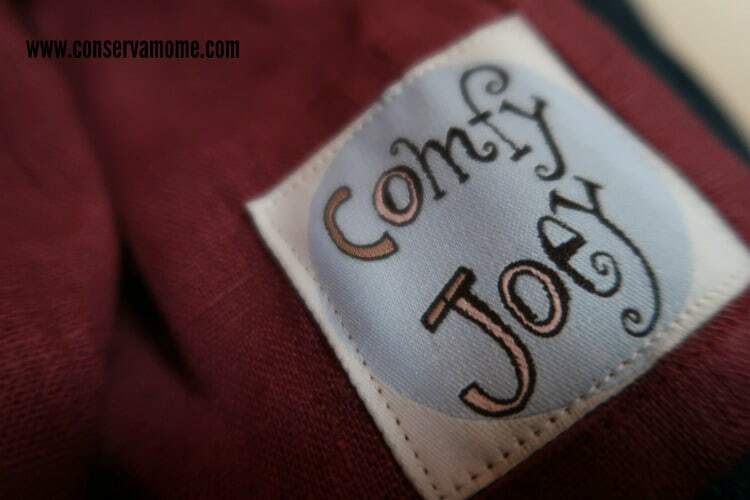 Right now Comfy Joey has a great sale going on. Visit their website to get your new favorite ring sling today. One lucky winner will have the chance to own one of these gorgeous ring slings! Must be 18+ to enter, ends on 1/21 at 11:59pmEST. Giveaway open to US Only. Good luck!